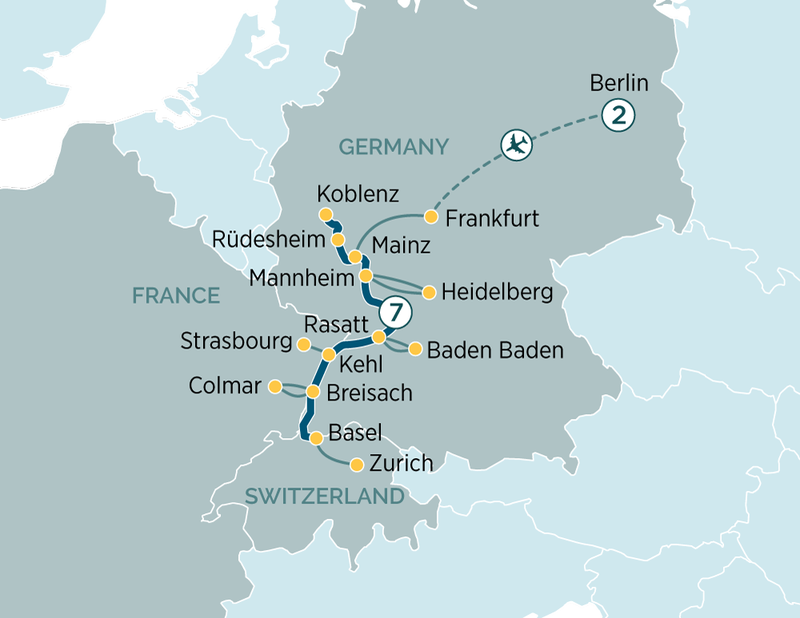 Today you will fly from Berlin to Frankfurt, where you will be met and transferred from the airport to your Emerald Waterways luxury river cruise ship. This evening join your fellow travellers for dinner on board. Your Cruise Director will also conduct a port talk to review the activities and itinerary for the days ahead. Welcome to Basel, the centre for Switzerland's pharmaceutical industry. After, your breakfast you will disembark your ship and transfer to the airport in Zurich for your homebound flight.t.